Meditation is an essential element for normal functioning of the body. Unfortunately, most people often neglect this. Most people often only think about how to settle bills and meet up with deadlines. People in this modern world do not make out time for meditation. This could be due to an absence of a space dedicated to that. Even though you’ve little or no space in your home to meditate, you can turn your garden to a meditation hub — where you can relax your body, soul and spirit. Here are some ideas to help you out. Have you noticed that you are always able to do whatever you focus on? Until you begin to see meditation as a priority, you wouldn’t carry it through. The first step to turning your garden into a meditation hub is to prioritize meditation. You have a bedroom in your apartment today because you feel it is important. This should also apply yo meditation. When you see the need to have a space for meditation in your home, you will be able to follow the other steps. It is a relief that you have a garden in your apartment. Almost every home has one — be it a full garden or a small backyard space. This is an ideal space for mediation. Spending some time with nature boosts meditation. You need to run out the pests to make it ideal. Most gardens are suffering an infestation of some specific rodents. Raccoons and squirrels are the common animals that infest gardens. You need to pay attention to them even if you might not have cared much about them before now. To have a garden to meditate with minimal distraction, you must run out the rodents. Ensure that while trying to rid your garden of pests, you don’t harm the plants. You sure need them to enhance meditation. Getting a pest control expert will save you a lot of stress. If for anything, it will be fast and safe. An expert will use squirrel and raccoon removal methods that are friendly to the environment. In your efforts to turn your garden into a meditation hub, you may need to plant some new plants. Certain plants enhance meditation. Aromatic plants emit scents that calm the nerves. These scents relieve stress and prepare the body for meditation. Some of these plants are in most bath soaps and oils. That explains why they have a soothing effect on you. Flowers like lavender, aloe and jasmine are some of the soothing plants. These flowers will switch your mind to meditation mode once you step into your garden. Visit a horticulturist for how to go about it. They may need to visit your garden. This will enable them to make an informed decision. Ever wondered why it is easy for you to fall asleep after a shower? It is because water has a soothing property. The soothing effect of water calms the nerve. It relieves it of stress and prepares it for meditation. Nothing enhances meditation like the sound of a flowing gentle stream. Several artists have found their inspiration while walking along some streams. You need not go all the way to a stream to have the effect of one. 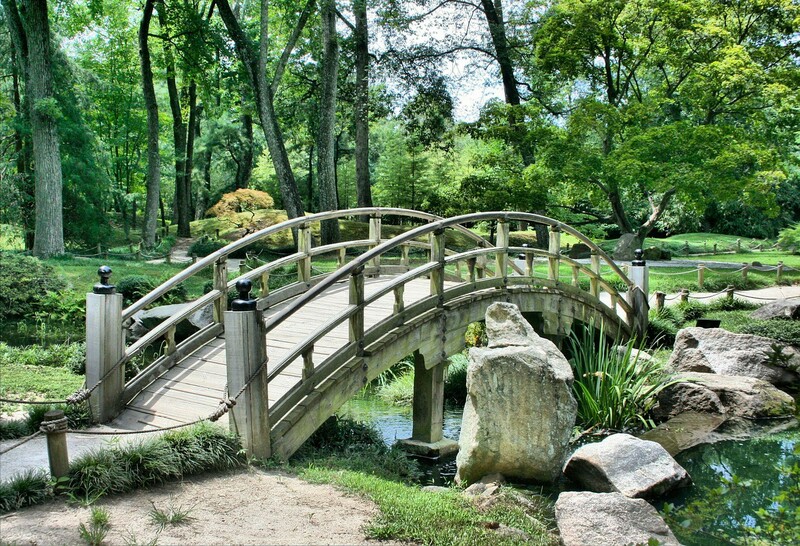 You can introduce the effect of water to your meditation garden through a water course. This you can do through waterfall molds or fountains. These come in different shapes and designs in the stores. From simple to exquisite designs, the choice is yours to make. Putting one of such water molds in your garden will bring tranquility and harmony to you during meditation. Now, you would agree you need those for effective meditation. The whole essence of a meditation garden is to have an escape space. The day-to-day routines can be overwhelming. These make even the strongest of men collapse under the pressure. Sound-proofing your garden will make it conducive for meditation. It will give your mind the rest and calmness it desires. Escaping from car horns and the screeching of tires will boost your meditation. The idea behind turning your garden into a meditation hub is to have an escape from the noise. With a natural fence, you can stifle much of these noises from the environment. This you can do through a brushwood fence or high foliage trees. Your mind switches into a meditation mode when it senses comfort. There is a need for you to introduce items that will aid your comfort while in the garden. Time spent in your garden will be effective when there is comfort. Taking a walk around your garden will help your mind unwind and move to meditation mode. But, you may need to sit or lie down for some seconds in meditation. Certain positions aid meditation in some people. Some people find it relaxing sitting in a serene garden and others may get their energy from strolling. Having a chair and table will further improve your meditation. These are the least furniture that you must have in your garden. You may need to scribble certain inspirations down as they occur to you in your solitary moment. Going back to your apartment to get a pen and paper may disrupt your flow of thought. Have a meditation chair and table in your garden and see yourself soar in reflection.